Here are just some of the great products you will find at Fangs & Fins. Please use the “Contact us” page for more information, prices or to make a special request. 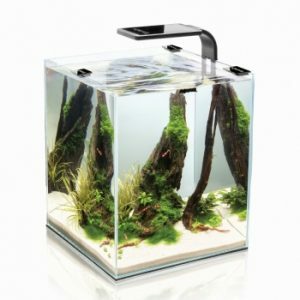 AquaEl Aquariums: Quality products at affordable prices! AQUAEL has the innovative LEDDY SET with advanced LED lighting technology. The set includes a state-of the- art lid with in built LED TUBE. a maintenance-free automatic heater, and a powerful internal filter. 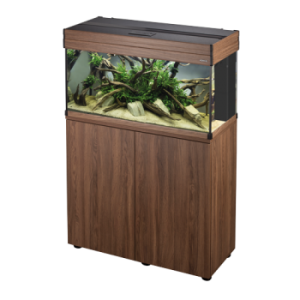 This is our most popular range of aquariums offering great bulid quality and outstanding value. 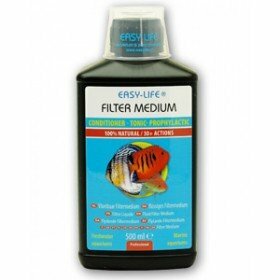 AQUAEL LEDDY sets are available in three sizes: 40, 60, and 75 cm. 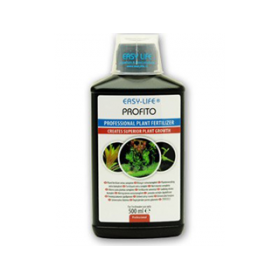 SHRIMP SET 10 litre These aquariums are intended for keeping shrimps and small fish (including Siamese fighting fish), as well as for the cultivation of aquatic plants. 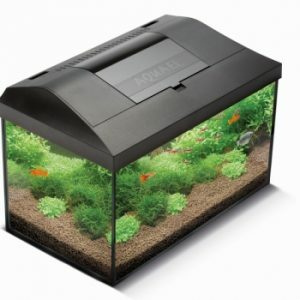 Each set includes a fish tank, a cover glass, a protective sponge mat, a LEDDY SMART PLANT lamp, an internal PAT MINI filter, an automatic heater, and CRUSTABS shrimp food. 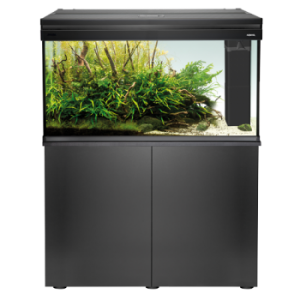 Visit us here at Fasngs & Fins to see several of these tanks in action displaying our range of Fighters, shrimp and nano fish. Available in Salina oak that imitates noble old wood or in black with a tree-ring texture. These sets are offered in a number of sizes (80, 100, or 120 cm in length). The lighting unit consists of two energy-efficient LED bars. The lighting unit can be easily expanded by adding LED modules. Hugo Says “Fish keeping is not just a hobby; it should change our lives. 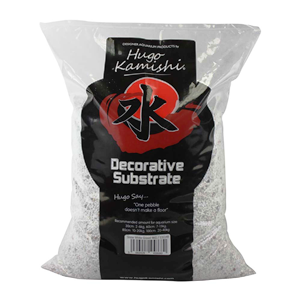 Hugo Kamishi must be the best range for aquarium decor available in the UK. 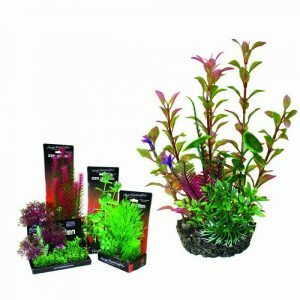 Here at Fangs & Fins we offer a wide range of single blister pack plants, Plant cluster packs, artificial Bonsai and an endless range of gravels in a rainbow of colours and sizes to enhance any home aquarium. 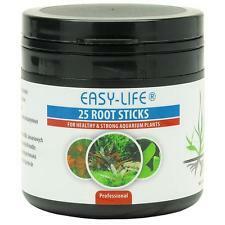 Easy Life premium aquarium treatments and plant supplements available here at Fangs & Fins. 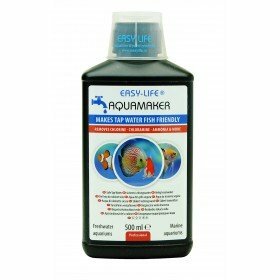 From advanced formula water conditioner such as Aquamaker and Fluid Filter, to reliable plant enhancers Profitto, Root Sticks and Easy Carbo, popular with many aquascapers across Europe. 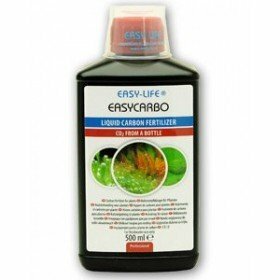 Easy Life has the answer to nearly all your water additive needs. 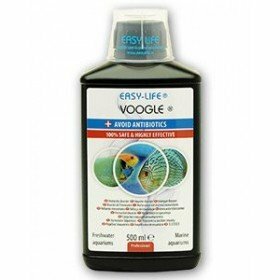 The Popular and effective Voogle, alternative to antibiotics, which is also shrimp safe, covers a wide range of common aquarium illnesses.